Land of Illusion is a short film shot in virtual world, where our team members have been working for two years to develop the virtual environment and installations for Cyberspace performances. 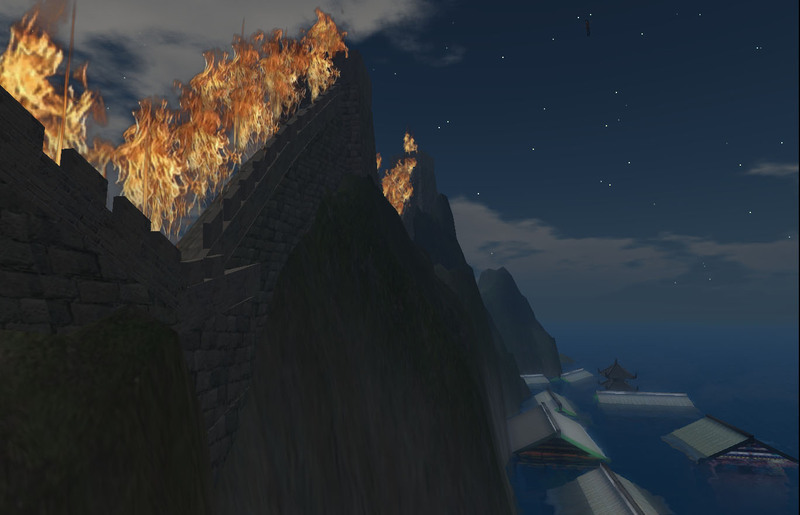 My intention is to create new artistic expressions through fusing film language, Chinese cultural traditions, and popular online virtual reality interface (Second Life). By deploying varied imaging techniques, I attempt to visualize my reflection, which is obtained after 5 years in self-exile, on Chinese women’s identity in context of freedom of expression in China. As artists from Beijing, our creativity remains deeply rooted in Chinese culture. Meanwhile, we pay attention to Cyberspace as it appears a venue with unlimited potential for artistic experiments as well as for more people to practice social interventions. Can artist adapt those functions to art-making promoting openness in cultures and societies? We have been observing, meditating and practicing. Interestingly, when living in my virtual garden in Second Life, we realize that how woman’s inner dialogues may be revealed by their interactions with the public environment, or the processes of visualizing their dreams. © Lily & Honglei 2007-2009. All rights reserved.